Joy, love and light will fill your hearts and your concert hall with this buoyant original song for the holidays! A perfect opener, the expanded orchestration makes this work especially good for community performances and choirs of all levels! 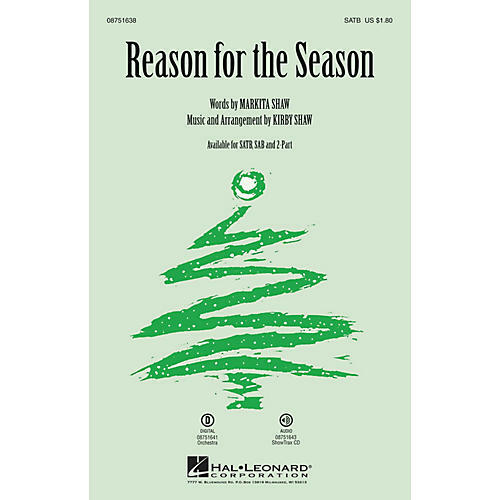 Available separately: SATB, SAB, 2-Part, Orchestra scor and parts (fl, clr, tpt 1-2, tsx, tbn, vln 1-2, vla, vc, sb, syn, g, b, dm, perc), ShowTrax CD. Duration: ca. 3:25.